Osaka (Japan) — November 7, 2018 (travelindex) — Best Western Hotels and Resorts has revealed plans to launch another modern international hotel in the heart of Osaka, Japan’s second largest city, commercial center and culinary capital. “Japan is one of the largest and most important Asian markets for Best Western, so we are delighted to secure yet another impressive property in this dynamic country. 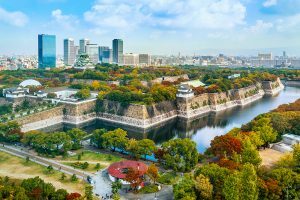 As Japan’s second largest city, commercial hub and the heart of the Kansai region, Osaka has a huge amount of potential for international travel, as well as the thriving domestic market. By offering a collection of globally-recognized hotels in strategic locations across the city, Best Western is perfectly placed to meet this demand” commented Olivier Berrivin, Best Western Hotels & Resorts’ Managing Director of International Operations — Asia.